Nigerians who wish to go home to Nigeria using another country’s passport are charged the same fee that is charged to all foreigners applying for a travel Visa to Nigeria. They are also required to submit to biometric data enrollment as is the case for all foreign visa applicants – just as other countries ask Nigerians who wish to travel abroad to go through biometric visa enrollment. This is also based on the fact that a significant number of Nigerians in diaspora are dual citizens – they are citizens of the country where they reside while retaining their Nigerian citizenship also. It is very important to note that any Nigerian who resides abroad who wishes to come home can obtain or renew a Nigerian passport at the same relative price as that paid by Nigerians in Nigeria. But if the Nigerian residing abroad chooses to use their foreign passport to travel to Nigeria, they must then obtain a visa just like every other holder of a foreign passport wishing to travel to Nigeria. This is not unique to Nigeria. This is the same rule that applies with every country that allows its citizens to have dual citizenship. This response is aimed at providing a proper background into the recently introduced Nigerian biometric visa issuance in order to clear some misconceptions such as that which alleges that it is an exploitative policy targeted at Nigerians in diaspora wishing to “come home” for a visit. It is imperative to highlight the need for the introduction of biometric processes in the visa issuance process as a means of addressing contemporary migration issues and challenges. Foremost in this regard, is the issue of security within the context of international terrorism as well as internal insurgency problems. Effective December 31, the Department of Home Affairs (DHA) of South Africa is automating the process of checking a foreign national’s South African criminal record, It will then no longer be necessary to apply for a hardcopy South African Police Clearance Certificate (“SA PCC”). The DHA will continue to accept hard copy SA PCCs until December 31; but the automated verification process will become mandatory starting January 1. Welcomed news for foreign nationals residing in South Africa, the new automated process is expected to significantly reduce document procurement time, in some cases trimming months from the processing times. 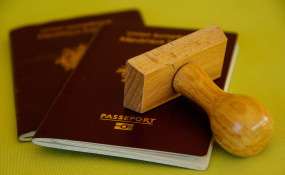 All foreign nationals who have resided in South Africa for twelve months or more since their 18th birthday require an SA PCC to support any application to renew their visas, change visa conditions, change visa status, apply for a Permanent Residence Permit, or submit a new application for a long-term Temporary Residence Visa from abroad. Note that this new automated process is only applicable to SA PCCs being obtained to support applications filed from within South Africa. Foreign nationals who require SA PCCs for applications submitted at South African Missions abroad are still required to provide hardcopy SA PCCs as part of their applications processes. Currently, it is necessary in all cases to obtain a hardcopy SA PCC through the Criminal Records Centre of the South African Police Service (“SAPS CRC”), a process that can take six weeks or more. This oftentimes results in applicants failing to meet the requirement of submitting their applications no less than 60 days prior to the expiry of their existing visas. Under the new process, the DHA will check the foreign national’s biometric fingerprints – which are digitally recorded at the Visa Application Centre (“VAC”) at the time of application submission – against the police database to check for any recorded criminal convictions in South Africa. An additional fee of R175.00 (including VAT) will be levied by the VAC per applicant for the new service. Please note that the Nigerian Consulate in South Africa has run out of visa labels/stickers. Therefore, visas can only be issued earliest from next week Monday or Tuesday (23/24 October 2017). A US-Africa energy summit scheduled for later September has been cancelled after African invitees were denied US visas, organisers said on Wednesday. A notice to prospective attendees said the fully booked two-day event would not take place “because of the denial of US visas to the vast majority of registered African participants, which, as a result, defeated the purpose of the summit and made it untenable”. Olivier Kamanzi, the Rwandan head of the Chicago-based Africa Global Chamber of Commerce, was among the scheduled speakers at the summit set to take place in Madison, the capital of the state of Wisconsin. The ambassadors to the US from Botswana, Ghana and South Africa were also listed as speakers, along with the coordinator of former President Obama’s Power Africa programme. “This is part of a broad policy of the Trump administration to deny, stall and obstruct visa requests regardless of their source,” said Samba Baldeh, a native of Gambia and an elected official in Madison. 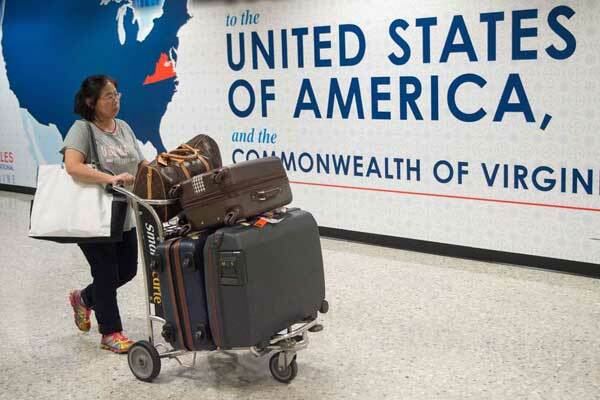 The inability of most invitees from Africa to obtain US visas “squandered a great opportunity for energy-deprived nations to work with advanced energy providers of the US and Wisconsin,” Mr Baldeh added in comments reported by the Wisconsin State Journal. South Africa is working towards allowing all African citizens to enter the country without visas – but at first “trusted travellers” like diplomats, officials, academics, business people and students will be the only ones to benefit. The Department of Home Affairs outlines the steps that will be taken towards scrapping visa requirements in its latest White Paper on International Migration, which was adopted by cabinet six weeks ago but not made public yet. The African Union’s Agenda 2063, championed by former AU Commission chairperson Nkosazana Dlamini-Zuma, calls for the scrapping of visa requirements for all African citizens travelling on the continent by 2018 based on the views of the African Rennaissance. The African passport was launched with great ceremony by Dlamini-Zuma and Rwandan President Paul Kagame at last year’s AU summit in Kigali. According to the White Paper, South Africa “fully supports the vision of an Africa where its citizens can move more freely across national borders, where intra-Africa trade is encouraged and there is greater integration and development of the African continent”. But the White Paper, which moves South Africa’s approach to immigration from a purely administrative one to a security-based approach, warns that the scrapping of visas needs to happen with caution. The policy is envisaged as follows: African citizens can enter South Africa visa-free where there are reciprocal agreements. Visas will only be needed when there are risks of foreign nationals overstaying, security risks like organised crime, terrorism and political instability, civil registration risks, i.e. fraud by foreign governments in issuing documents or an unable or unwillingness to identfy their nationals when requested, and for countries “with a high number of nationals who abuse the asylum system”. One of the countries identified elsewhere in the document as doing such is Zimbabwe. Key elements of the visa-free regime would be visa-free entry for visits up to 90 days, recognition of visas for third parties, for example regional visas, agreed standards on immigration and border management, agreed standards on civil registration and “sophisticated, real-time risk management, information and intelligence sharing”. Where visas are required “South Africa should make it as easy as possible for bona fide travellers to enter South Africa”, by standardising and expanding the use of long-term, multiple-entry visas for frequent travellers, business people and academics, according to the White Paper. A list will be developed of countries whose visa adjucation systems are trusted and recognised by South Africa, and technology will be used to establish trusted traveller schemes. At regional level, South Africa “should continue to advocate for a free movement of African citizens,” the paper states. It also says, however, that there has been a large influx of semi-skilled an unskilled economic migrants who couldn’t get visas and permits through the “mainstream immigration regime”. These had some negative consequences, such as the asylum seeker management system being “abused and overwhelmed by economic migrants”, and then these migrants, and by extension also South African workers, being abused by “some unscrupulous South African employers”. There has also been “increased trade in false documentation and petty corruption by police and immigration enforcement officials”, and social cohesion has suffered, “as all citizens assume that all migrants from the rest of Africa are irregular and undesirable”. There has also been a “revolving door” of migrants returning, and deportations to neighbouring countries increasing significantly. The White Paper, which has a strong focus on attracting more skilled migrants to counter the brain drain, also announces a special dispensation for migrants from the Southern African Development Community, with the focus on giving visas to skilled migrants, traders and small and medium sized business owners. Visas for lower skilled migrants will be “quota-based”, but details on this still have to be decided. Home Affairs minister Hlengiwe Mkhize is expected to announce details on the new immigration dispensation in her budget speech in Parliament on Wednesday. It is expected that the new policy will find its way into legislation by next year.